When man first began riding the horse, equipment was minimal. In most cases, it consisted of only a simple bridle. Today, the amount of equipment available to the horse owner can be downright baffling! There are saddles and bridles available in a wide variety of shapes and sizes depending upon the discipline your horse is involved in, as well as protective gear designed to keep every part of your horse safe. There are all types of horse "clothes" designed to keep your horse warm and dry in all types of climates, as well as items that help to keep flies and other pests at bay. Finally, there are a wide variety of items on the market designed to help the rider control his or her horse. While horse equipment can be highly specialized, horseback riders should realize that the best horse equipment is that which fits correctly, is in good condition, and is safe. The most basic equipment for horse and rider are a saddle and bridle. The bridle enables the rider to control the horse, while the saddle gives the rider a place to sit. The bridle is made up of a headpiece and an adjustable cheekpiece, to which the bit is attached. A throatlatch and browband keep the headpiece in place without slipping. Some bridles also have nosebands. While some nosebands are merely there for show, other nosebands are used to give more control to the rider. Bridles are most often made of leather, although they are also available in synthetic materials. Bitless bridles are also available. Sometimes called hackamores, these work by putting pressure on the horse's nose and chin. While saddles are traditionally made of leather, synthetic versions are also available and popular among riders. Saddles are built on a frame, called a tree, which is made of wood or plastic. Springs inset in the tree add resilience. There are many types of saddles, and the one chosen normally depends upon the discipline done by horse and rider. For those who participate in general riding, the aptly named all-purpose saddle is an excellent choice. Those who participate in more specialized disciplines like dressage, jumping, saddle seat, and western will require saddles that are designed for these activities. 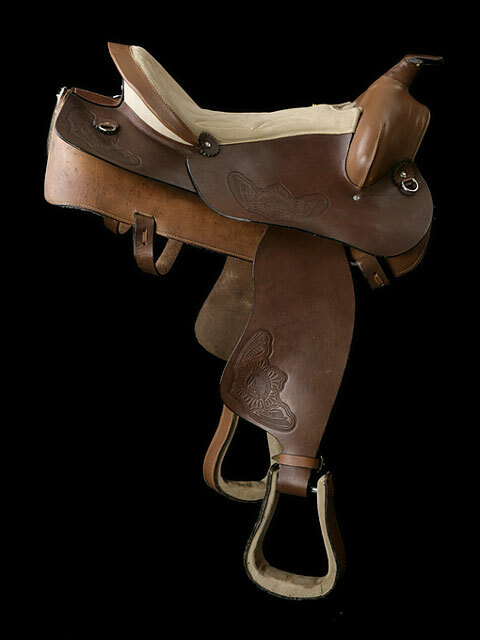 A Western saddle, for example, has a high pommel and cantle and a deep seat, designed to provide maximum comfort for riders who spend long hours in the saddle. Stirrup irons, in which the riders place their feet, are attached to the saddle via stirrup leathers. Typically made of stainless steel, stirrup irons must, for reasons of safety, allow a gap of about 1/2 inch, on each side of the rider's boot. The saddle is attached to the horse by a girth. 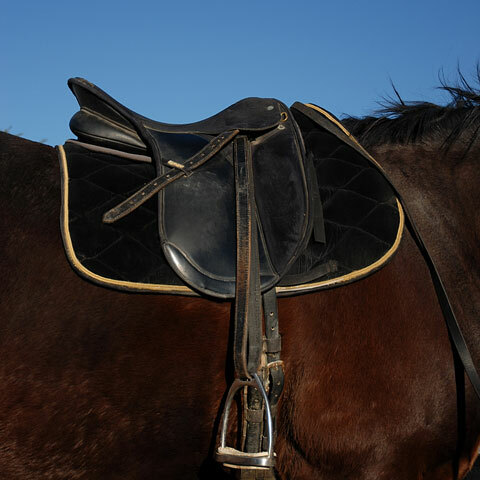 Girths come in many designs, depending upon the type of saddle being used, as well as the horse's conformation. A saddle pad is placed under the saddle. The saddle pad adds a buffer zone of comfort between the saddle and the horse's back, and is typically made of a breathable, sweat-absorbing material. A breastplate is sometimes added to the D rings of the saddle to prevent it from slipping. Horses who are kept outside in inclement weather may need a rug, particularly if they are clipped. 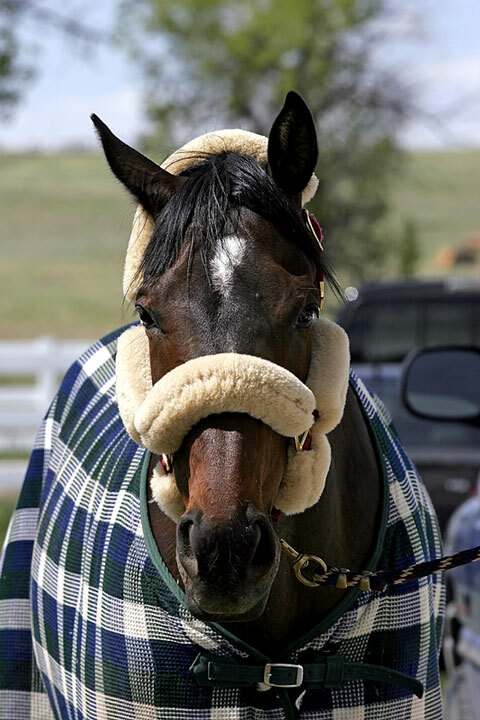 Rugs come in all kinds of shapes and models, depending upon your horse's needs and body type. They also can be water- and snow-resistant, depending upon their design. Blankets are primarily used for warmth, and come in a range of materials and weights. Sheets are lighter in material, and can be used to cool a horse down after exercise, as well as protect the horse from flies and other pests. These are usually made of lightweight cotton or mesh. Bandages and boots are used to give support, warmth, and protection. They are used when the horse is working, as well as when the horse is traveling. Leg bandages are typically made of stockinette or crepe, and are most often used to give support and protection to the tendons. About three or four inches wide, they are usually wrapped over padding. Self-adhesive bandages are also available; these are most often used in competition. Stable bandages differ from leg bandages in that they are slightly wider, and their main purpose is to keep the horse's legs warm, particularly if the horse is clipped. They are made of wool or other thermal material, and are also wrapped over padding. An alternative to bandages, there are several different kinds of boots that are used to protect horses' legs. Knee boots protect a horse who is exercising on the road in case of a slip or fall, while brushing boots prevent injury in horses whose legs often brush up against each other when moving. Bell boots prevent injury in horses whose back legs overreach and strike the front legs. Tendon boots are an alternative to bandages, and give a similar amount of protection and support. Shipping boots are used to prevent injury to horses who are being trailered; they are designed to protect the horse's lower legs, including the knees, hocks, and coronets. Fastened with Velcro, these are also put over appropriate padding.